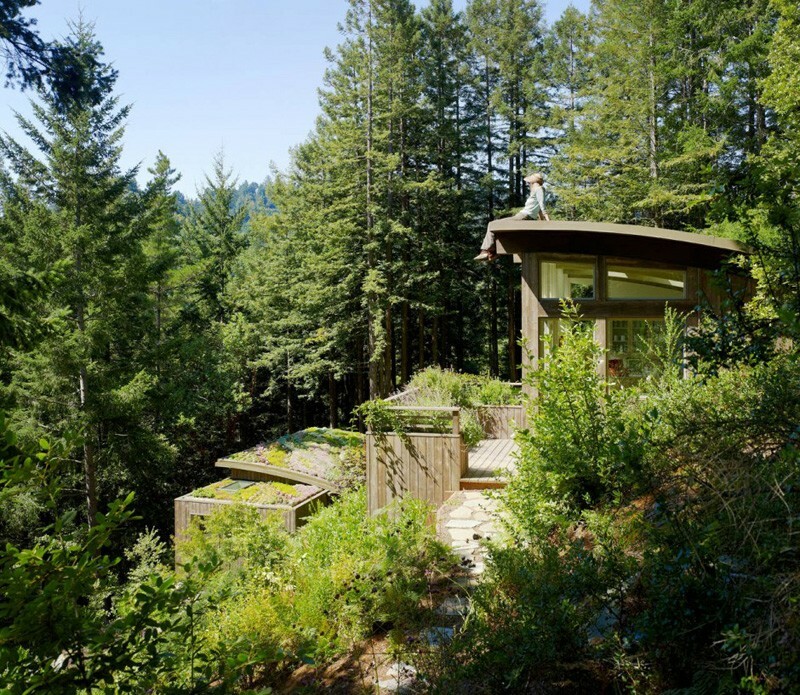 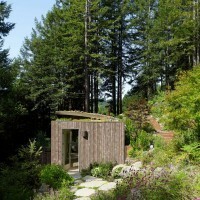 Feldman Architecture designed two small cabins as accessory buildings for an existing home in Mill Valley, California. 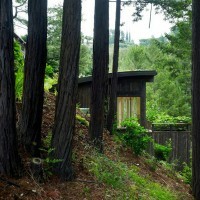 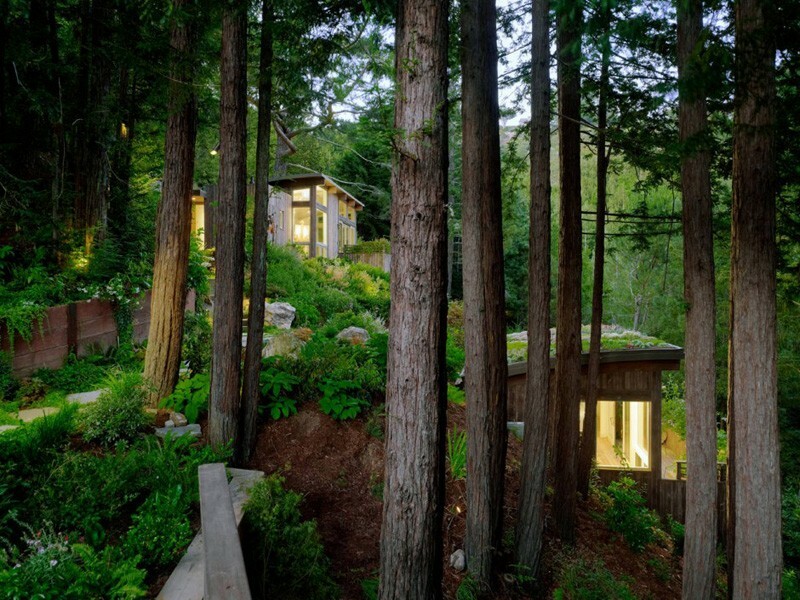 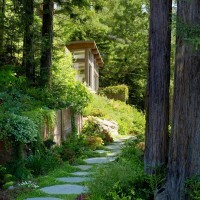 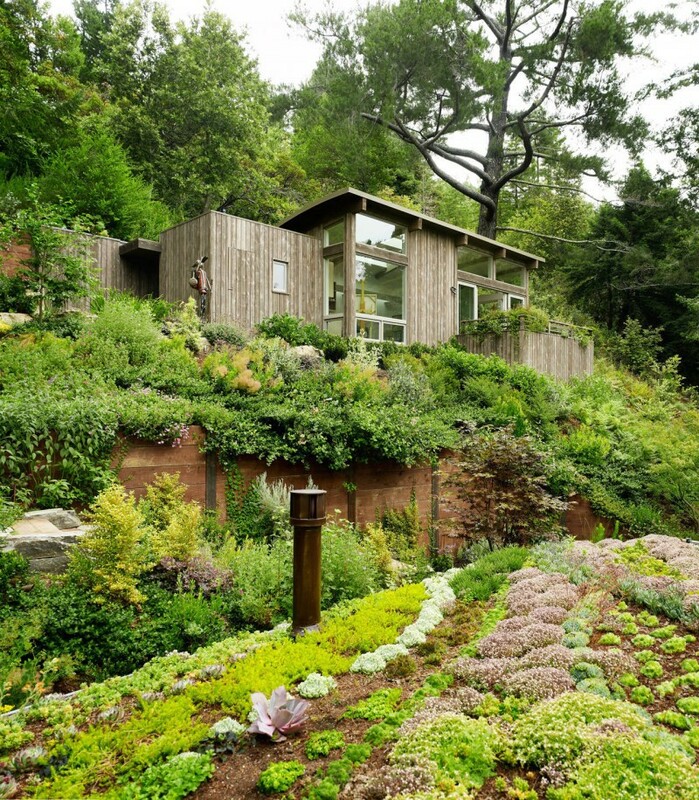 The clients for the Mill Valley Cabins wished to add some accessory structures to their existing hillside home. 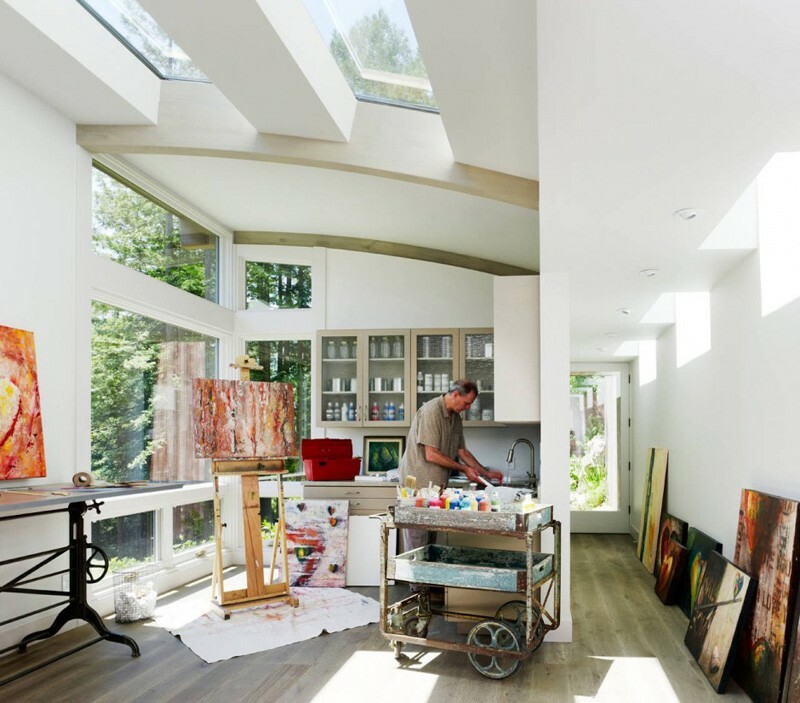 Programmatically, the clients sought to provide space for an artist studio and a yoga space which would also serve as a private guest cabin. 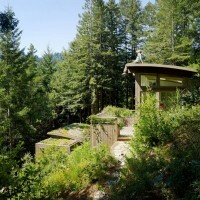 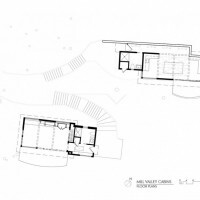 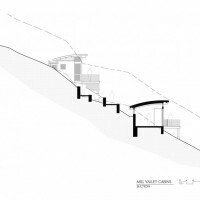 The program was divided into two small cabins which could be placed lightly between existing trees with minimal re-grading. 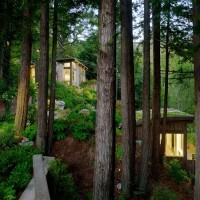 Additionally, the orientation of the two cabins captures different views. 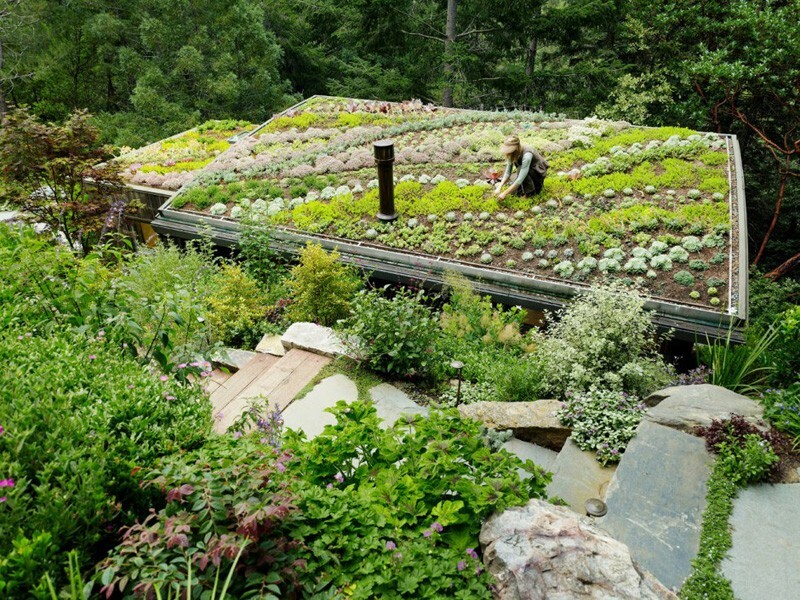 The roof of the lower building was planted with a garden since the upper building would look down on it and the client and design team wanted the building to blend into the hillside. 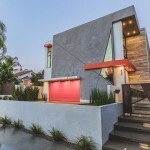 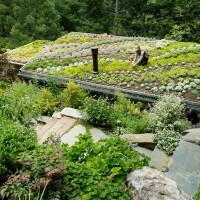 The green roof also provides additional landscape for the client’s love of gardening.